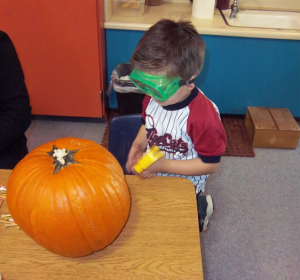 The Rio Hondo College Child Development Center Pre-School Laboratory uses the California State Preschool Standards to prepare children for Kindergarten. Each child’s abilities and interests determine the topics of learning in the classroom. Children learn best by doing, touching, experimenting, choosing, talking and problem solving. The staff support the children throughout the learning process and provide resources and assistance to promote optimal learning and development. The staff observe and assess each child to determine their current skills and track their progress while the child attends the program with the Desired Results Developmental Profile (DRDP-PS). The Profile focuses on the social, language/literacy, cognitive, math and physical development of each child. Parent conferences are held to discuss the results of the DRDP. Click here for a program description and information regarding enrollment and fees.